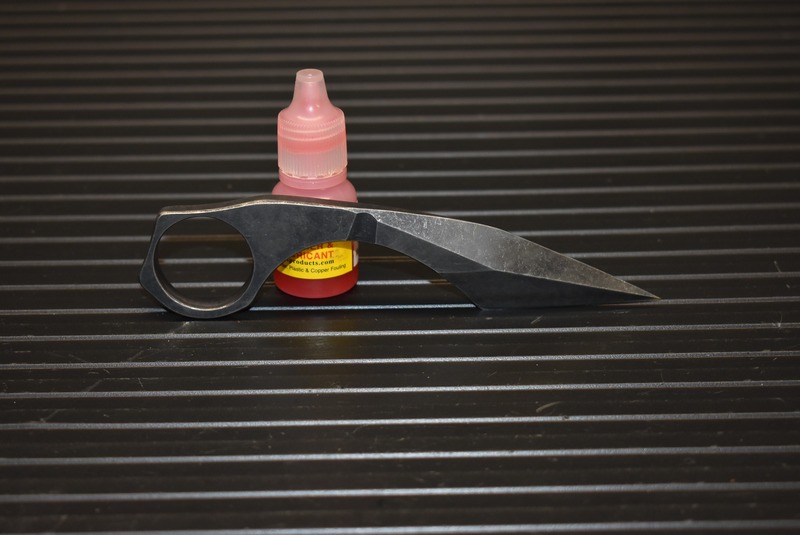 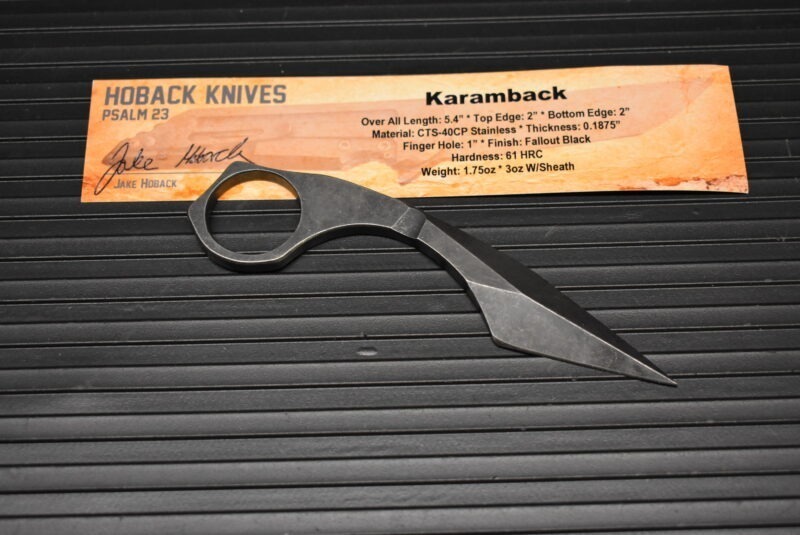 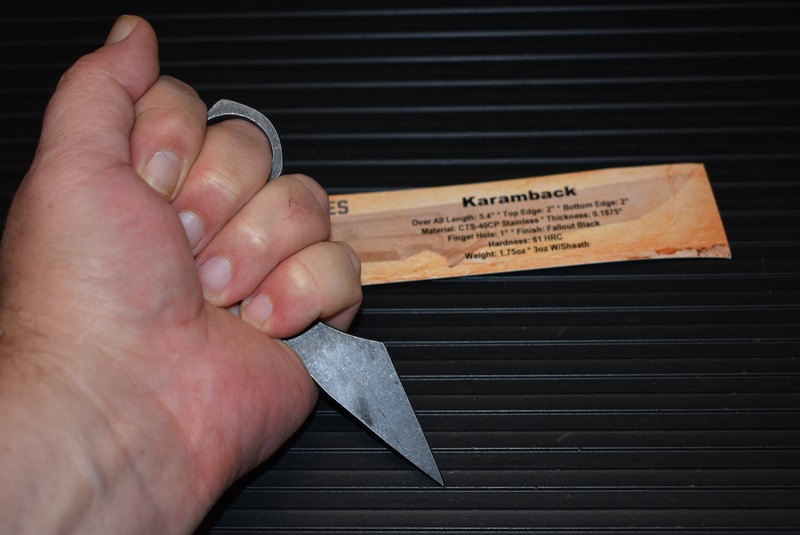 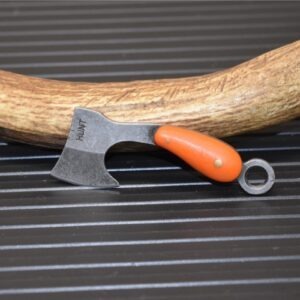 The Karamback fixed blade by Jake Hoback knives is a small karambit style ring dagger for discreet carry. 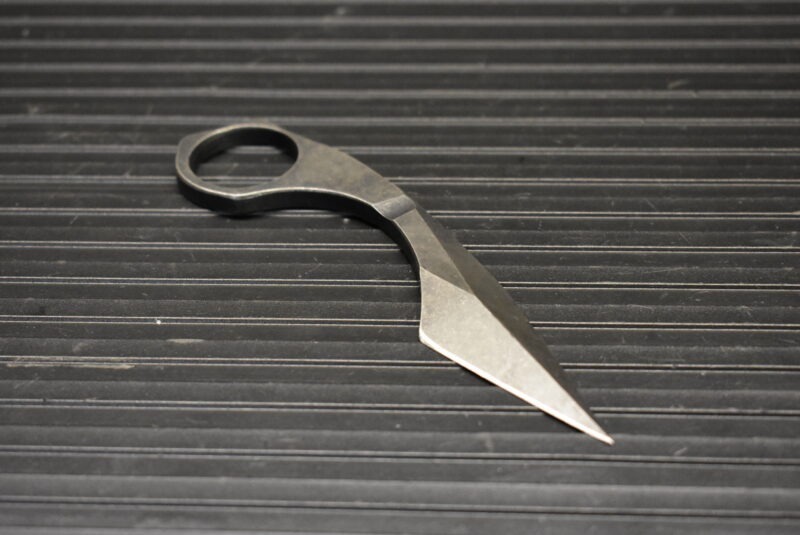 The knife can be deployed in a reverse grip using your index finger in the ring with a flat top to the ring for your thumb or deployed with you middle finger in the ring leaving your inner finger free to fire a weapon. 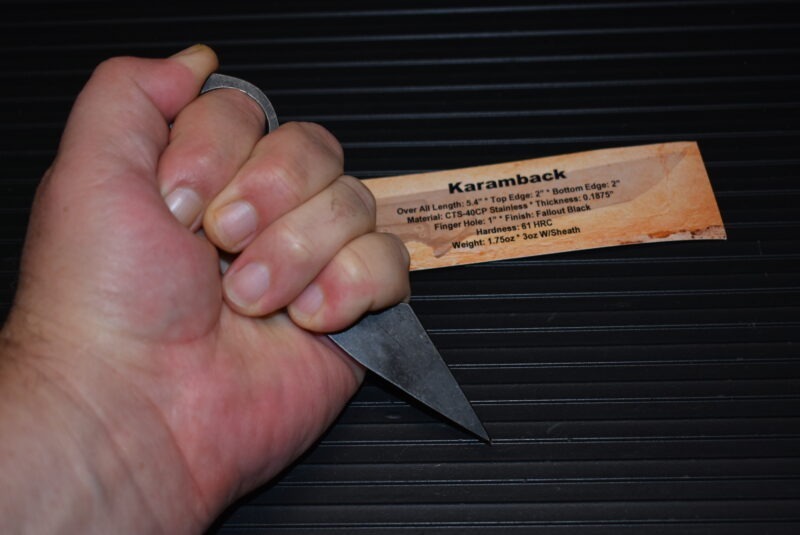 The blade also works in a forward grip. 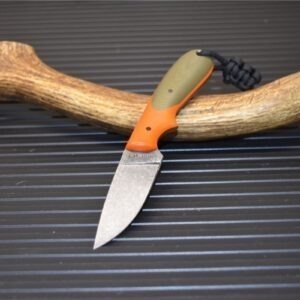 This is a very cool self-defense knife. 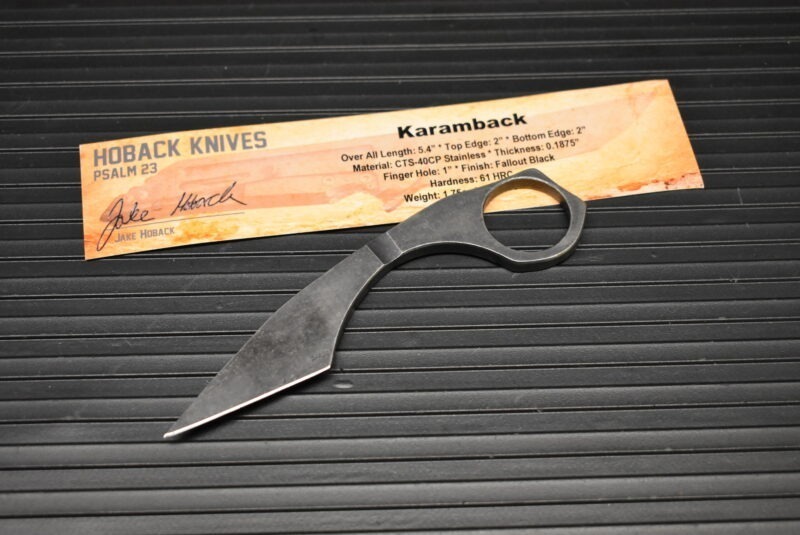 This one is 1 of the first 20 made. 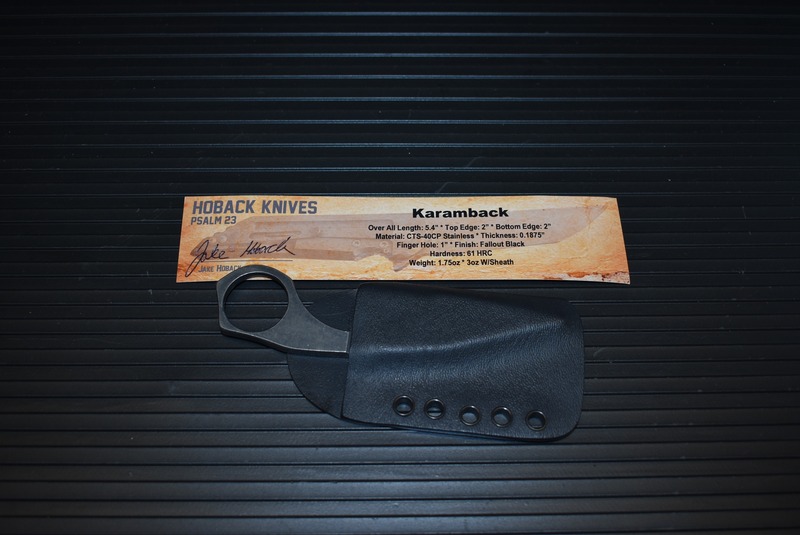 the Karamback is designed to draw reverse grip from the pocket for a very discreet, pocketable fixed blade option. 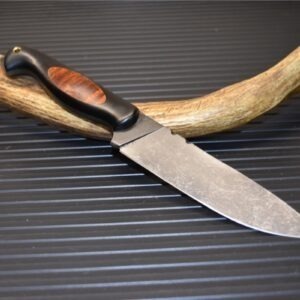 Please check out my YouTube channel for upcoming videos on how the knife can be carried and used. 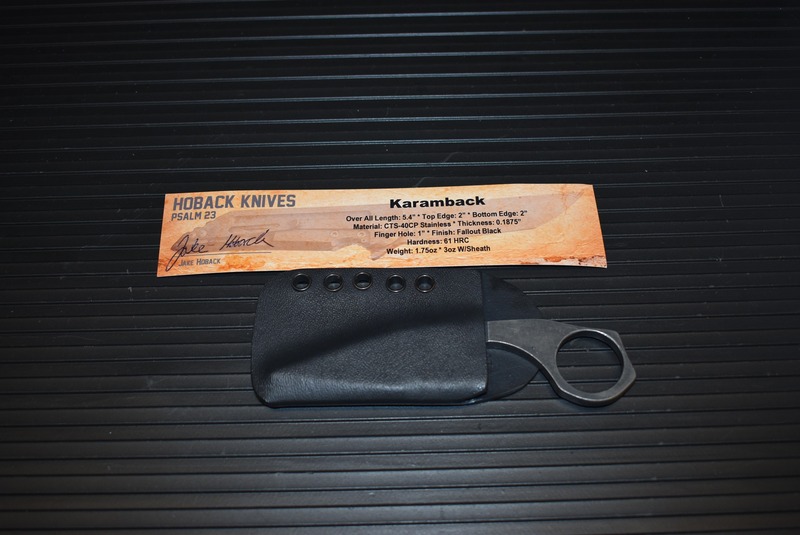 The Kydex Sheath is not ambidextrous. 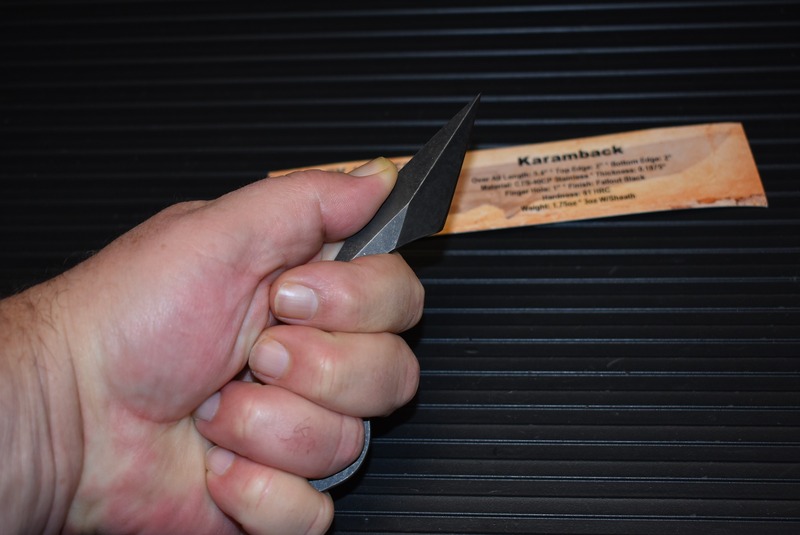 Please take care to re-sheath for right hand reverse carry. 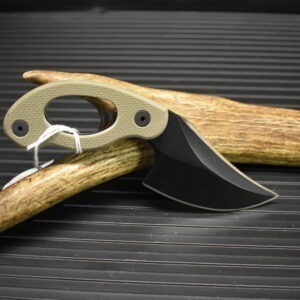 Blade w/ Kydex Sheath Weight 3.0 oz.